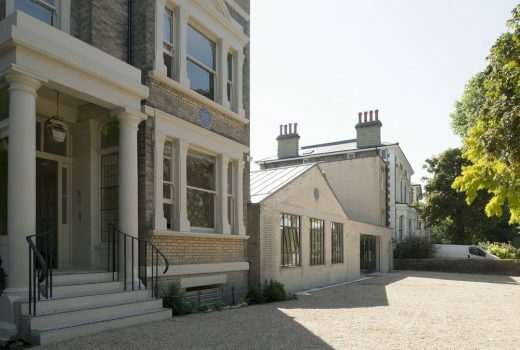 London-based practice Inglis Badrashi Loddo (IBLA) has completed the renovation, conversion and extension of Woolborough House in Barnes to create a new home for the Velehrad organisation. 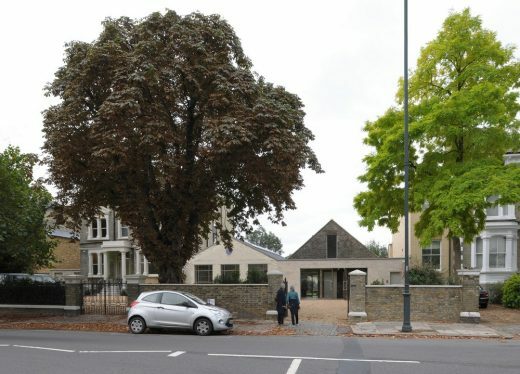 Founded by the Czech refugee Father Jan Lang in 1964 from a house in Notting Hill, Velehrad London is a charitable organisation whose mission is to provide religious, cultural and social support and counselling to emigrees from the former Czechoslovakia. 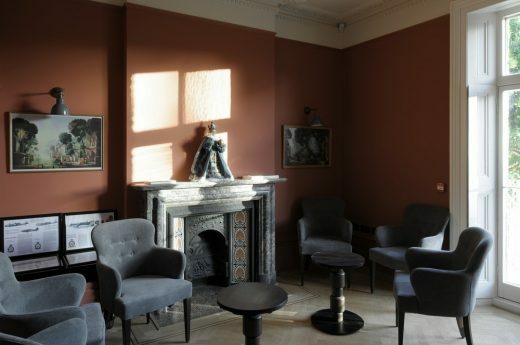 As a gathering place for Czechs and Slovaks living in and visiting London, Velehrad is designed to host a variety of events, accommodate the practical needs of the organisation and reflect its history and culture. 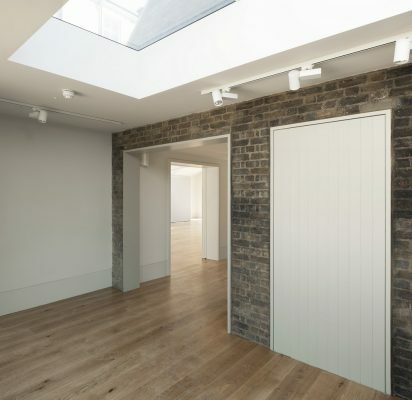 The resultant work by IBLA creates a welcoming and adaptable cultural centre for Velehrad London that combines modern features and designs with historic renovations and extensions, bringing a Victorian property into the 21st Century. 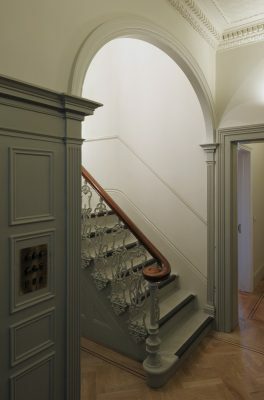 Previously occupying a residential building in Notting Hill, the organisation bought Woolborough House – formerly the home of Russian ‘Maitre de Ballet’ Edouard Espinosa then headquarters of the British Ballet Organisation – and commissioned IBLA to refurbish and reconfigure the premises. The brief asked for spaces including a concert/function hall and performance space, classrooms, accommodation for visiting priests, prayer rooms and spaces for meetings and community events. Discussions with the clients about the requirements for their varied activities segued into conversations about the importance of history, its presence and one’s place within it. 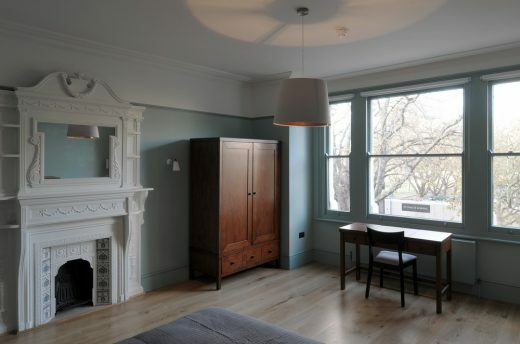 The site was made of up three parts – the original 1870’s villa, an 1880’s coach house and a single-storey 1930’s studio – IBLA worked to renovate and improve on each part without losing any of the unique character and to rationalise the varied designs as a whole for a coherent visitor experience. 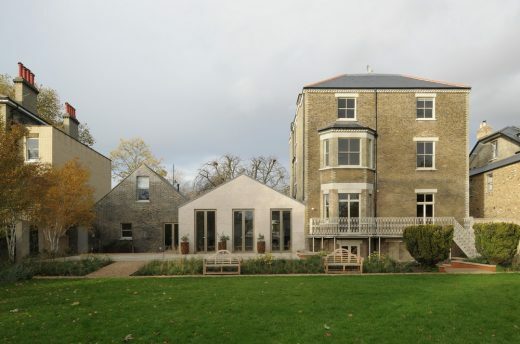 The coach house’s original facade was restored after demolishing a series of poor quality single-storey extensions from the 1930s. 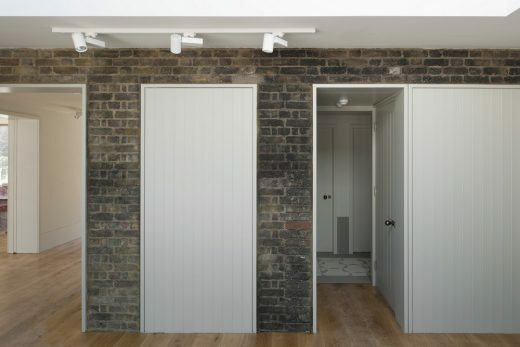 Plaster finishes were stripped away and the spaces reconfigured to allow the existing openings (lined in new grey-painted timber) to lead through into new cloakrooms, a kitchen and an apartment for visiting priests above. 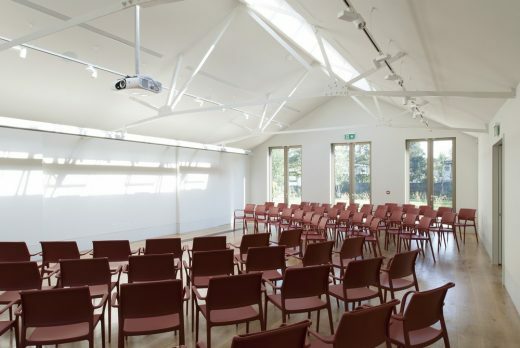 The front facade and metal roof trusses of the studio were retained and incorporated into a new function hall for concerts, lectures, cinema screenings and events. An innovative retractable screen wall was installed in the hall to separate sections of the centre for events. 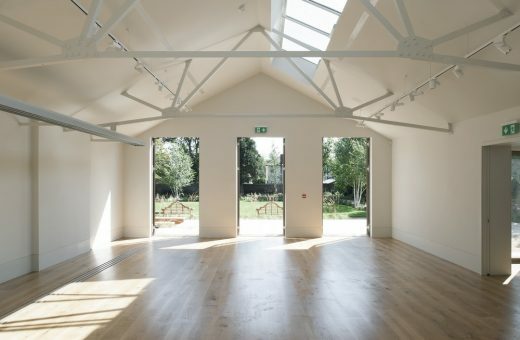 Further space to serve community events was added in front of the coach house and green rooms and ancillary spaces for performances tucked into the basement of the main house. This function hall also opens out to the lush garden behind the house for visitors, which includes a memorial to Czech political protester Jan Palach, by the renowned Czech Sculptor František Bělský, which was originally installed in a window niche on the side of the Velehrad house in Notting Hill. 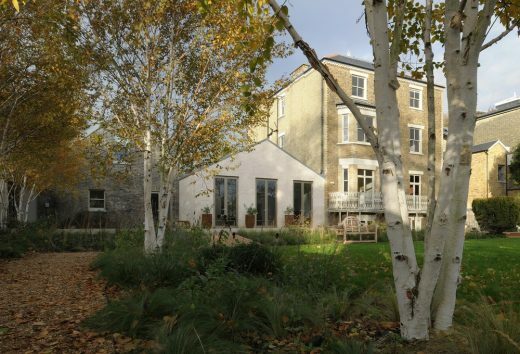 Woolborough House itself was fully refurbished and upgraded to accommodate classrooms, reading rooms and a space for Catholic masses. 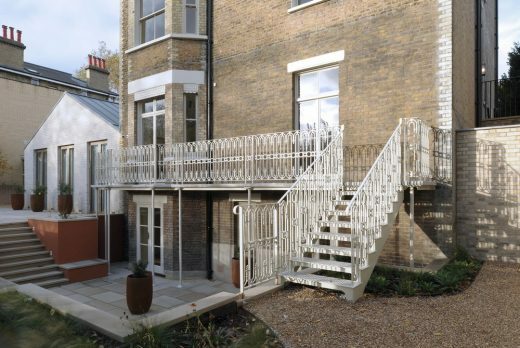 A new lift to allow disabled access, new stairs, handrails, painted panelling and a rear balcony were also incorporated into the extensive refurbishment by IBLA. Where the original fabric was found to be in good condition, this was carefully repaired and restored; where it was in poor condition, it has been improved with new construction. 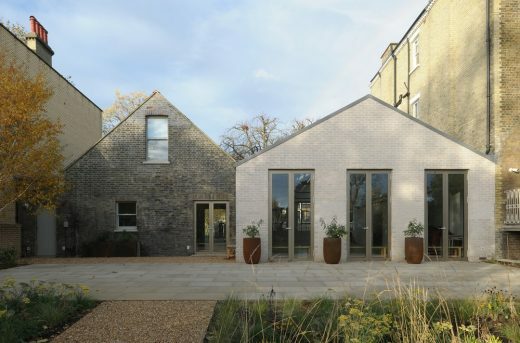 Newly built elements are understood as a continuation of the history of the building; a seamless synthesis of old and new, which respects, preserves and re-frames the existing context in a new light. Viewed from the garden at the back, or from the front of the site, this can be read in the varied tonal range of the brickwork across the facade. Patrick Inglis, co-founder and Director of Inglis Badrashi Loddo said of the project ‘Creating a varied and functional new home for such a fantastic and culturally significant organisation as Velehrad was an amazing opportunity and experience. 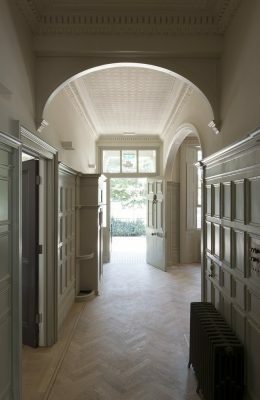 We’re extremely proud of the building we’ve created for them and how it combines the charm and history of the original property with practical improvements and IBLA’s aesthetic for clean and contemporary architecture’. 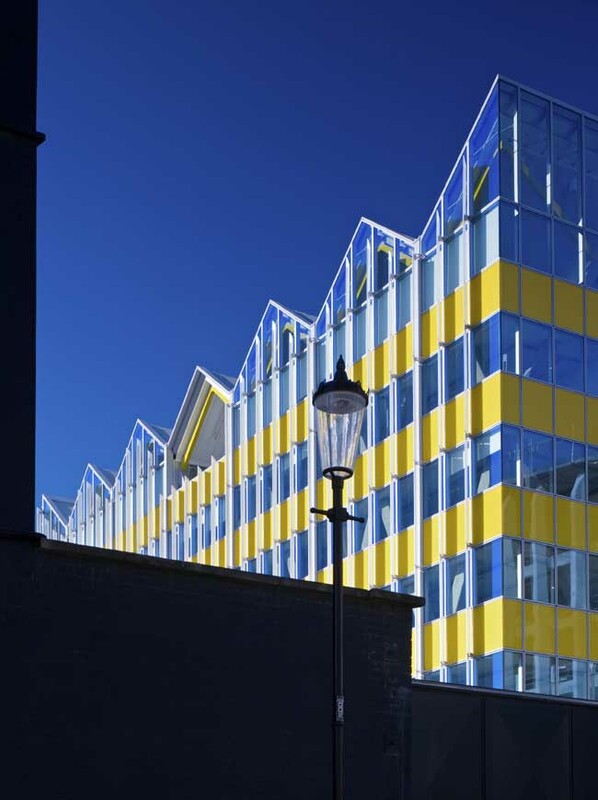 Velehrad London was shortlisted for the AJ Retrofit Awards 2017.